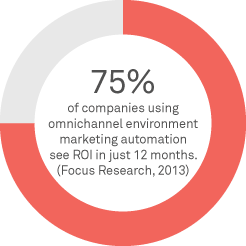 Automate your sales and marketing today with the right automation software! 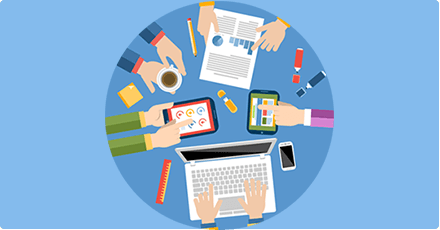 With Agile CRM, run marketing campaigns that actually get results! Using this software, marketers can now provide their customers a seamless and prompt experience, regardless of channel or device. Businesses can now engage with their customers on a website, mobile device, digital catalog or through social media. Improve your lead management activity in the form of generating, scoring, nurturing and segmentation. Agile CRM's next generation automation technology can help you reach out to a potential lead right from the beginning of their interaction and keep a track of their individual digital behavior to gain highly actionable insights. 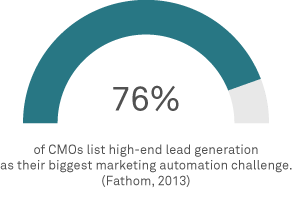 Marketers who use automation close deals quickly, shortening the traditional sales cycle by replacing it with an automated one. This automation tool eases and expedites the process of lead nurturing to the point that they’re actually buying. the evolution of marketing automation. Define your marketing workflows with an easy drag-and-drop designer. 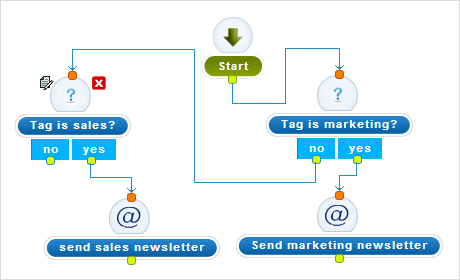 Build multi-step marketing campaigns visually in just a few minutes using our automation tool. 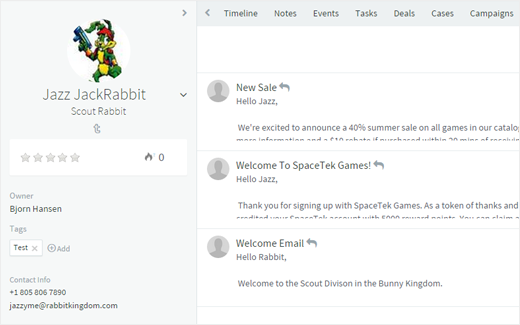 Autoresponders enable smarter nurturing, onboarding, lead scoring and sales. 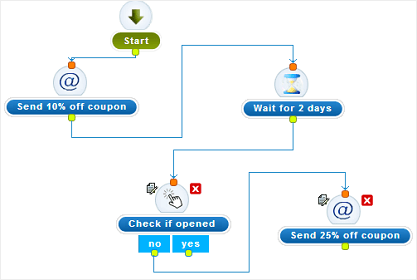 Send automatic email responses and follow-up messages based on time or contact actions, all of this through automation software. Send periodic newsletters to customers to keep them informed using Agile CRM's free email newsletter templates. Know who is opening emails and clicking links. Engage with your contacts on multiple marketing channels, including social media. 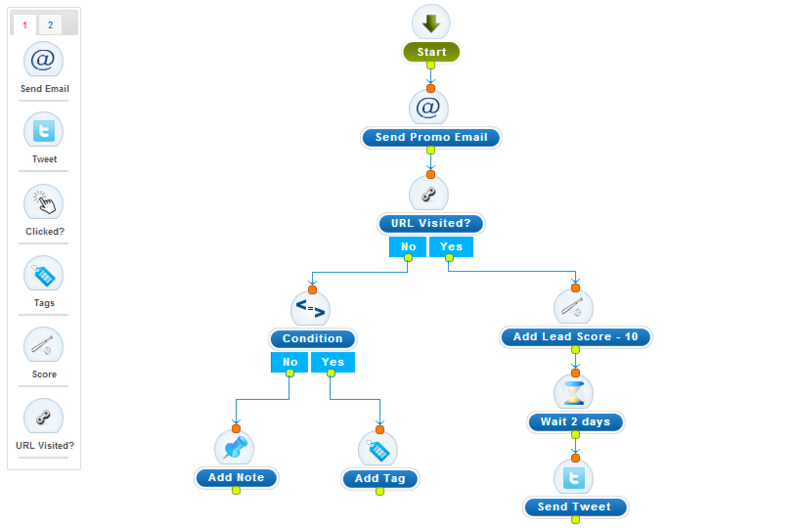 Run multi-channel marketing campaigns with automated tweets. Score leads automatically based on their actions, including email opens, link clicks, website browsing and more. 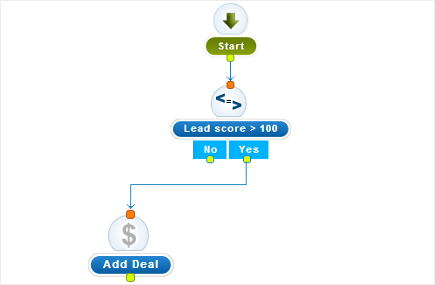 Run campaigns based on lead scores and get real-time alerts about the hottest leads. 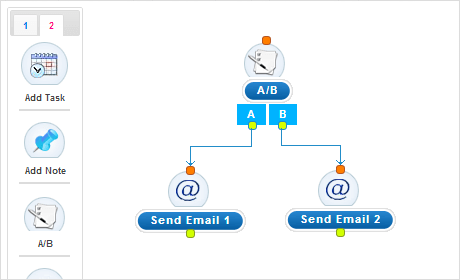 Segment your contacts automatically based on their actions. Add relevant tags and notes, and automatically push them into targeted campaigns using this automation tool. Evaluate and optimize your email messages with A/B testing. 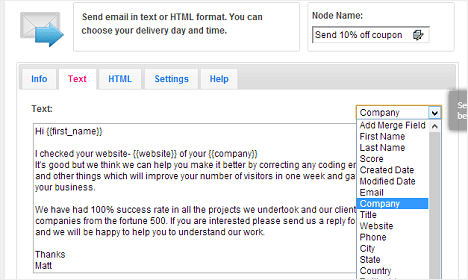 Send different versions of emails to contacts and evaluate based on open and click rates. Know who opens your emails. 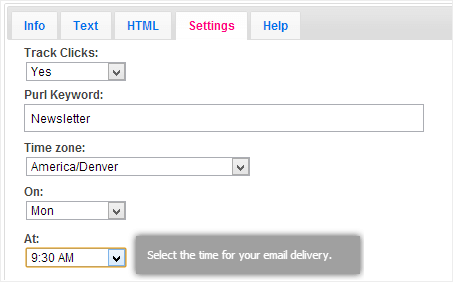 See statistics on email opens and clicks. 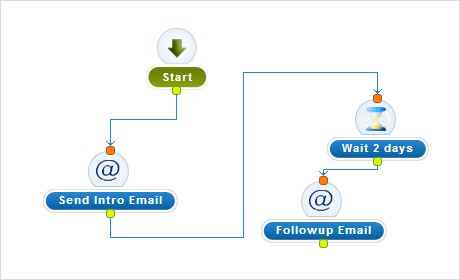 Use custom URLs to track contact actions and increase email conversions in the future. 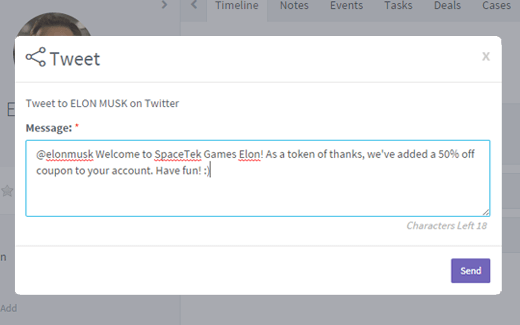 Add a personal touch to your emails, automatically. 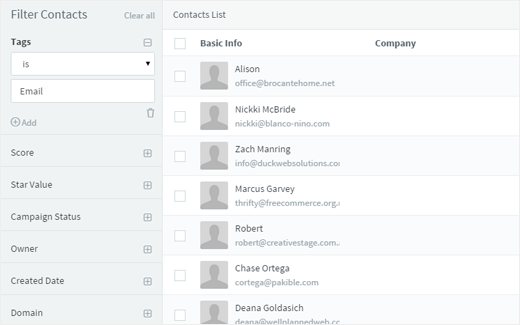 Personalize emails with a contact's name, company, location, interests and more. Send coupons based on customers interests and browsing habits. Create sophisticated drip campaigns to send the right message at the right time based on customer behavior. Increase conversions with Agile CRM. Once a lead is qualified, Agile CRM can automatically create deals and assign them to the right sales rep. Define your sales process and keep sales and marketing automatically aligned 24/7. 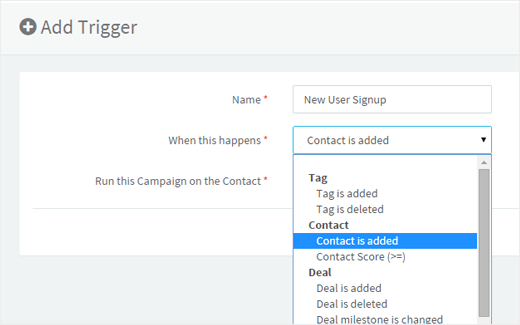 Trigger targeted marketing campaigns using custom conditions such as a new tag, particular lead score, new lead, and more. Triggers can be used for both contacts as well as companies. 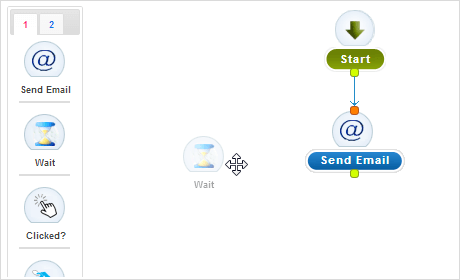 Use email scheduling to send important mail to your customers at the optimal time on the perfect day. We automatically adjust for time zones and other factors. 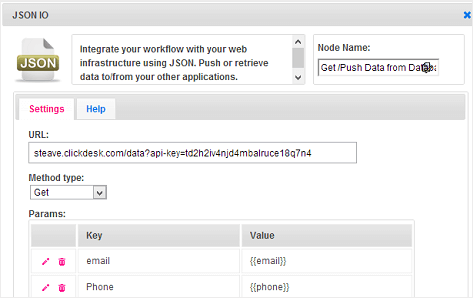 Integrate your workflow with your web infrastructure using JSON. Push or retrieve data to/from your other applications easily through Agile CRM. Take your real-time marketing to new heights with custom popups such as signup forms, coupons, surveys, feedback forms, and anything else you can imagine. Capture leads and make your small business huge. Customers today require a personalized, engaging and consistent experience across channels and it is the most important factor which determines the effectiveness of your brand. This automation software helps you achieve just that. As a small business owner, do I need this automation? How will this automation help me grow my business? How do I choose the right software? Ease of Use: To drive adoption within your marketing team, it is important to choose an intuitive platform providing drag and drop ease for most functionalities. Scalability: Your automation software should be able to seamlessly support an increase in the number of your customers, leads and team members over a considerable period of time without an unforeseen increase in cost. Ease of Integration: The chosen software should be compatible with your existing enterprise application standards and should integrate easily with relevant applications such as the brand website, email solution, CRM application (if separate) and data warehouse. Is this automation software too expensive to setup and manage? 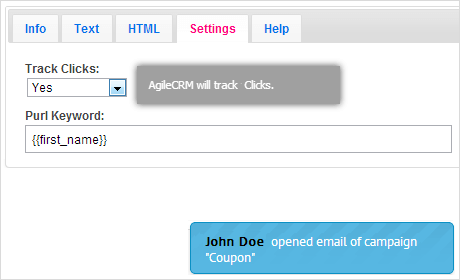 Agile CRM’s MA software is free to try! For up to 10 users and 5000 emails, businesses can leverage Agile’s powerful capabilities at zero cost. Also, paid plans offer great value for money starting from $8.99 per user per month. You can see a detailed comparison of the pricing plans here. Excellent support. You all are the best I have ever seen in my 30 years working in technology. I love Agile so far. I have used MS Crm for the last 3 years and I'm impressed so far. Just wanted to say thank you. This CRM seems completely beast. Thank you for creating this masterpiece. You guys simply blew my mind. This is the best CRM I have ever seen.